THE NEW FUN WAY TO LEARN PLAYING GAMES!! 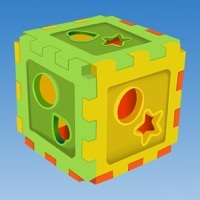 Learn with Fun 1 is the latest fun and educational game from I Think Solutions! It includes a vast variety of animated, interactive learning experience, which will keep your child engaged for hours . All activities are specifically designed to assimilate learning skills and tasks. Activities Include: -Coloring Book -Identify the Picture -Identify the Color -Match the Shapes -Match the Objects -Count the Objects Not only your child will have a great time while learning new things, but also will have fun with our very own monkey, who will make sure you never get bored!! So, go ahead and let your child dive into a world of playful learning.